I'm replacing my smart board... but the photos of the WB27X10776 (which the GE site says is the correct part for my model) look different than my board. Mine has more connectors and relays. 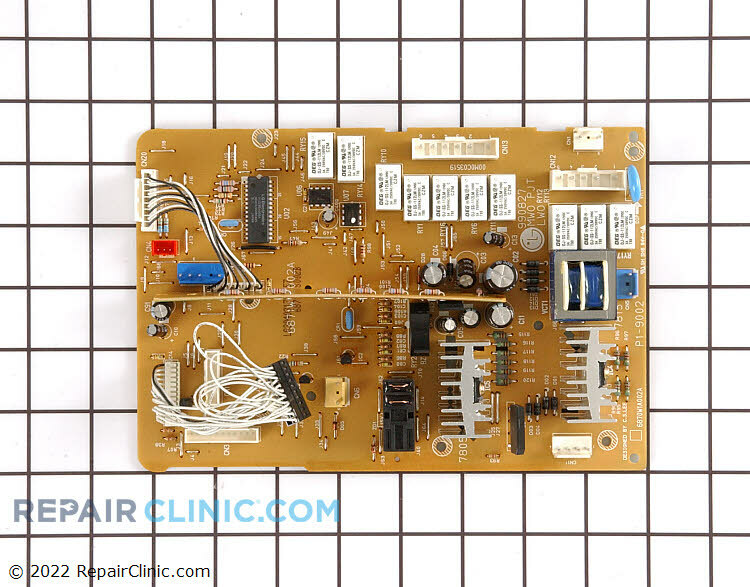 Does the replacement board ship with adapter(s) or an instruction sheet that explains how to install it in place of previous versions of the board? The above board looks different then yours? Does the replacement board ship with adapter(s) or an instruction sheet that explains how to install it in place of previous versions of the board? 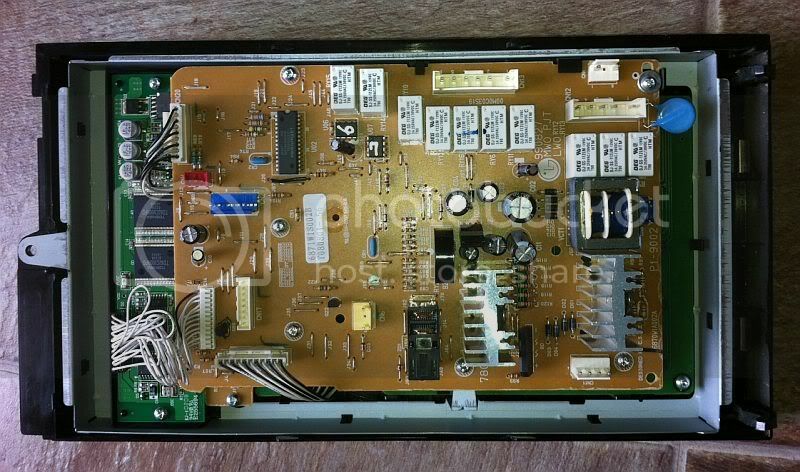 When you click on the photo or part number above it will take you to the parts page. It does not show that it comes with instructions or adaptors so I would have to say no it don't come with it. Maybe the replacement part is used in more then one model and has other plugs on the board for the different models. What is the model number of your microwave? Seems I may have leftover plugs. Again, everything works fine but the magnetron does not come on. The problem began after a lightning storm, and though we didn't lose power we may have had some surges. Any ideas? What components, other than on the smart board, could have been damaged? Additional info: I checked the outlet and it's getting 220v. When I start the microwave I hear a relay click after a second or two, but not the usual hum I hear when the magnetron is on. I have never worked on a 220 Volt microwave. Is this microwave in your home or is this a commercial unit that is in a restaurant or something? I had one I bought used on eBay. We didn't like the Advantium controls, too complicated for us and the kids.. It's in my home....way out in the country, else I would call a repairman. If I can simply diagnose the failed part, I can replace it. 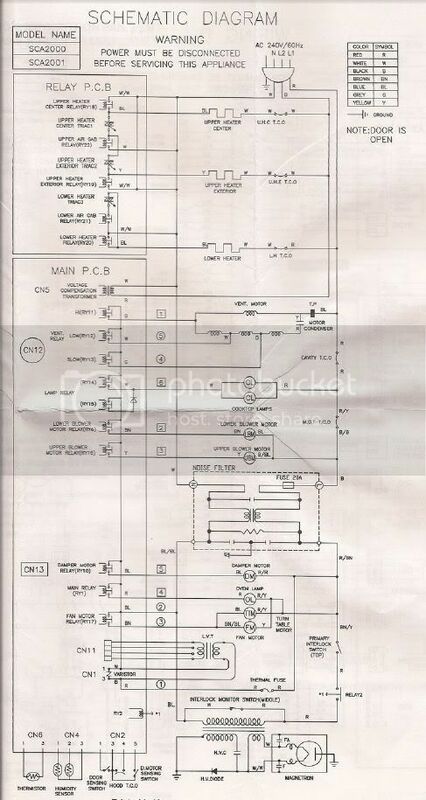 I downloaded service manual 31-9038, but it really doesn't show any detailed diagnostic procedures. what's it not doing ? Microwaving. The convection heaters are working, as are the fans, the turntable, lights, controls...everything except it appears the magnetron isn't functioning. If I could be sure that it's a bad magnetron, and not just a sensor or thermal cut-out, then I would replace it. If only I could find a manual that had detailed diagnostics I could probably track down the problem. Check the primary side of the HV transformer for voltage. Since this is a 240 vac microwave, I don't know if you should read 120 vac or 240 vac to the transformer. But, it should read one or the other. If no voltage, the problem is on the low voltage side; fuse, control board, tco or door switch. If there is voltage, the problem is on the high voltage side; HV transformer, HV capacitor, HV diode or magnetron. Excellent guidance, Tgoods... that's exactly the kind of advice I'm needing. Checking those voltages with the smart board connected will be pretty difficult though, with 10 cables in the way. Can I disconnect the smart board and still get accurate readings off the transformer? have you tested the HV Diode and the HV Capacitor ? Is there a tech sheet? GE usually has it stashed around the control board somewhere. I downloaded the same manual you did but it's for the 120v Advantium not 240v. I did a reverse lookup on the HV transformer and it only fits the 240v Advantium models. So, I assume the transformer primary voltage should be 240 vac. If I had a schematic, I could give better advice. Here it is. It appears that the Interlock Monitor Switch is in a very important location. I guess it should be the first thing I check.